Part 1 of Chef Andrew’s journey to Vietnam on FAMILY INGREDIENTS airs this Wednesday on PBS Hawai’i at 7:30pm! The episode will focus on Andrew going solo to Ho Chi Minh City (aka Saigon) with Chef Ed Kenney to check out the southern style Pho noodle soup that we are most familiar with in the U.S. Part 2 will air next week at the same time, where Andrew joins Mama Le and family to trek through Hanoi, Mama’s birthplace. 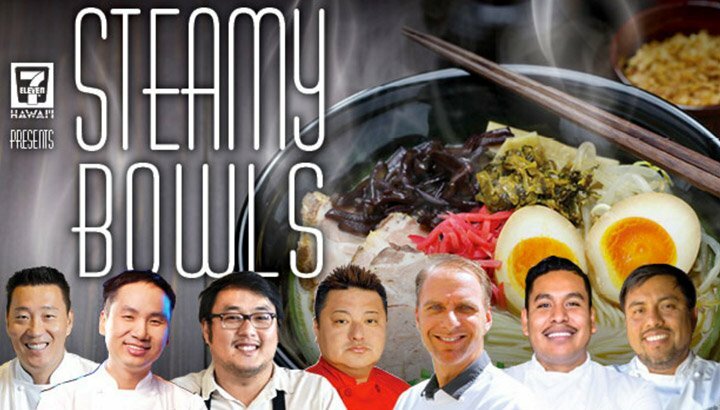 In addition, Hawaii Food and Wine Festival starts this week and Chef Andrew is part of the 7-Eleven Presents Steamy Bowls this Friday, November 3! Culture and heritage take front stage as seven chefs from diverse backgrounds create dishes that reflect who they are and where they come from. Ramen (Japan / China), rice noodles (Vietnam), and sopa (Mexican) are some of the dishes our chefs will put a spin on. Chung Chow (Noreetuh, NY), Ricardo Zarate (Rosaline, CA), Andrew Le (The Pig & the Lady, HI) are joined by four other star chefs who will share their life experiences and personalities in a bowl. Come looking hot and steamy as you eat, drink and dance the night away with exciting new cocktails shaken and stirred by our mixology masters. Cocktails and beer provided by Southern Glazer's Wine & Spirits Hawaii and Anheuser-Busch. Selbach-Oster can trace wine-growing in the family back to the year 1661. They grow Riesling on 50 acres of steep, south facing mountain slopes that face Germany’s Mosel River. The Selbach-Oster estate vineyards are considered some of the best in all of the Mosel wine country. This special dinner will feature Rieslings that range from Dry to Sweet from some of Johannes’ finest single vineyards. He will also be bringing along some very special library selections from his personal cellar. Don’t miss out on this amazing event!